Managing electronic documents is more than just purchasing a scanner and scanning documents into your digital imaging software. There are many aspects to consider when merging electronic documents and a paper based filing system together. Our document management consulting services will help you prepare and plan a well designed and efficient document management system. Planning is the most important step whenever you are considering any type of new system. Merging your paper based filing system with an electronic document management system is no different. There are many important considerations and questions that should be asked when implementing a document imaging system. Below are a few basic questions to consider. How will my paper based filing system work in conjunction with digital imaging? What file formats should I adopt? What documents should I convert to imaging? 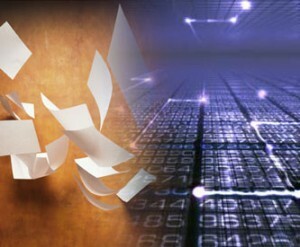 Should we convert documents in house or contract with a document scanning company? What can I start doing right away to make moving to electronic records easier? SYSTEC’s nationwide document management consulting services are a cooperative group of records management companies working together to collectively bring the most innovative document management solutions to our clients. Our document management consulting team is comprised of knowledgeable and experienced consultants that will help you understand, justify, and implement the right document management system for your business. Contact us toll free at 1-877-779-7832 or click here to send us a message for more information on our document management consulting services.